Special 911s are almost as old as the 911 itself and the first was, in some ways, the most special of them all. Though many 911s raced throughout the mid-1960s, the 1967 911R was Porsche’s first attempt at doing its own, in-house racing version which, as per the vogue at the time, was also road legal. So it fitted its maddest engine – a 210bhp, 2-litre flat-six from its prototype 906 Le Mans car – and set about one of the most obsessive weight-saving programmes in history. By the end, the front badge became a sticker, the door hinges were made out of aluminium and even the wheel centre caps were deleted. 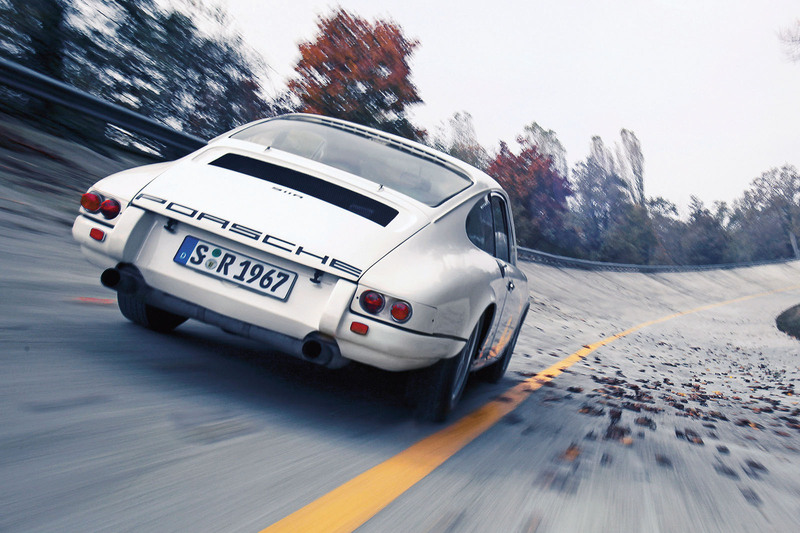 The result was the lightest 911 there has ever been – a yowling, howling, 850kg air-cooled missile. Sadly, Porsche only built 20, and were one to come up for sale today, its value would best be counted in millions. Until recently, you could pay close to £1 million for a 1973 Carrera RS 2.7 so long as it had exactly the right spec and provenance, though happily prices have eased back a little more towards sanity of late. 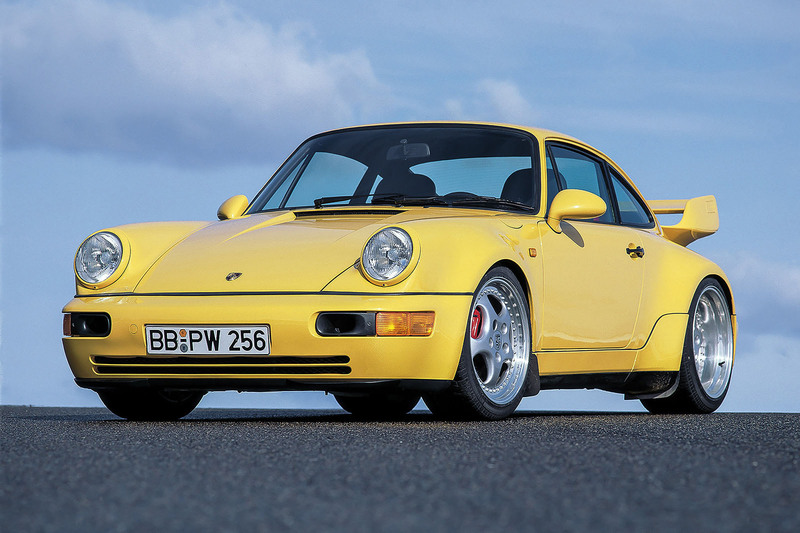 This is the archetype, the 911 considered to be the best the breed could be. Why? First, because it was a genuine homologation special, so had competition pedigree. Second, with a 210bhp 2.7-litre motor, various weight-saving measures and a beautifully balanced chassis, it was wonderful to drive. Third, it was still sufficiently civilised for owners to want to use them – they were not just recreational toys. Finally, with its iconic little kicked-up ‘burzel’ duck- tail spoiler, it looked gorgeous. Was it as good as its reputation suggests? I think it is a great 911, an exceptional example of its art. Whether that quite makes it the icon its reputation suggests is another matter. Porsche goes supercar hunting with its naughtiest 911. How successful is it? By contrast, I feel the ClubSport of 1988 remains an under-rated classic. It wasn’t designed to race, didn’t cost a fortune (in fact, it was cheaper than the Carrera on which it was based) and hardly looked any different from the standard car. But it was a beautifully judged upgrade, aimed squarely at those who just loved to drive. It was lighter to the tune of 50kg thanks to the deletion of the near-useless rear seats and items such as the electric windows, sun roof, central locking and so on. No extra power was claimed, but the engines had a new ECU, a higher redline and, it was said, only the best motors were used. Different dampers, a standard limited-slip differential and stiffer engine mounts completed the picture. The result didn’t feel transformed, merely optimised, and when the starting point was as good as the Carrera, a true classic was born. 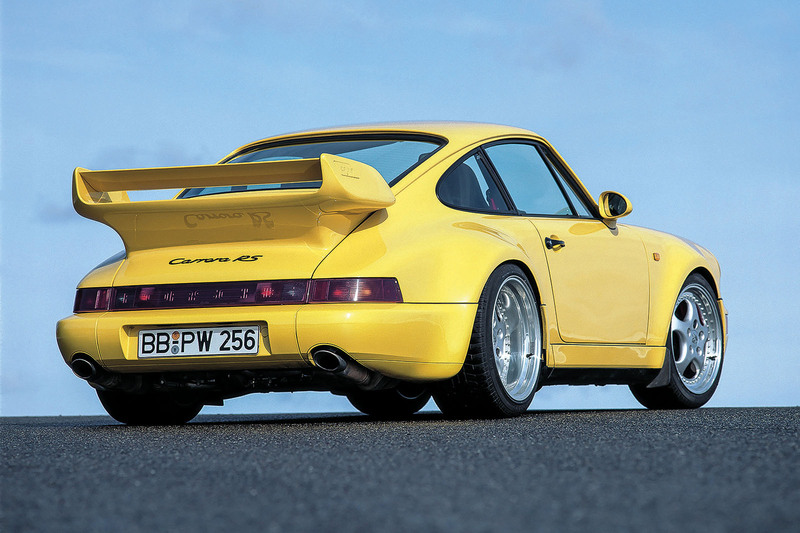 Which are not the words I used when I road tested the 964-series Carrera RS back in 1991. I seem to remember giving it a bit of a kicking. It was lightened and stripped out, stiffened up and even given another 10bhp. I should have loved it. In the event and on the road at least, I found its suspension settings so uncompromising I ended up hating it. Only years later when I drove one around the Nürburgring did I understand what everyone else saw in it: it felt like a racing car and, on the track, was as wondrous as it had been off-putting on the road. The wonderful thing about the 993-series of Carrera RS that went on sale in 1994 is that it didn’t force such compromises upon you. It had a bespoke 3.8-litre engine, all the lightweight modifications and the enormous benefit of the 993’s multi-link rear suspension. But it didn’t shake you to bits on the road. On the contrary, it rode rather well, better by far than a standard 993 on Sport suspension. On the track it was indulgent and involving, if actually little quicker than the 964 despite its considerable power advantage. It hardly mattered: this was a special 911 of the classic kind, a modern 2.7 Carrera RS that was not only fabulous to drive but usable too. Which are not words you’d use to describe the GT2 version it spawned. This was as close to a road-going Le Mans car as you could get in the mid- 1990s without buying a McLaren F1. It had 430bhp, which doesn’t sound like much today, but in a super-lightweight shell with caveman throttle response, it was more than most who drove it cared to handle. This was a very scary car to drive fast which, combined with its rarity, is probably why it is so revered today. Just 57 road cars were made, one of which sold last year for £1.85m.